While completing his first space flight after serving as an astronaut for sixteen years, Thornton already knew that he had been assigned to a second mission - the third flight of the Spacelab - originally scheduled for the end of 1984. Some of his colleagues had jokingly observed that he might not make a second flight if he did not slow down his work pace a little, but then acknowledged that there was probably no one who could get him to slow down, not even his family, so he would probably make the flight anyway. 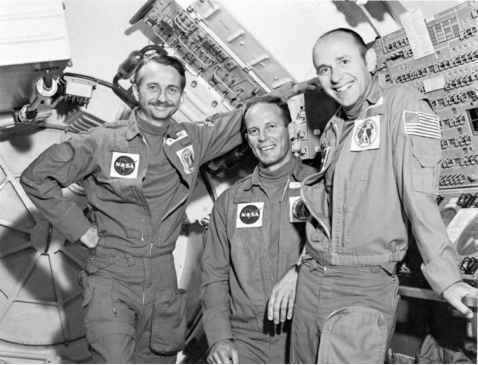 While Thornton was recovering from his first space flight experience, the next flight carried two scientist-astronauts into space; one each from the fourth and sixth astronaut groups. STS-9 was the first flight to carry the European-designed and built Spacelab science module, the largest volume of research area on a US spacecraft since Skylab, so who better to fly the inaugural mission than former Skylab 3 astronaut Owen Garriott and Skylab mission scientist Bob Parker.